Microsoft is bringing a new spurt of energy to its mixed-reality efforts. On Thursday at its Build conference in Seattle, the company announced partner devices with features and prices that challenge rivals like Oculus Rift and HTC Vive. 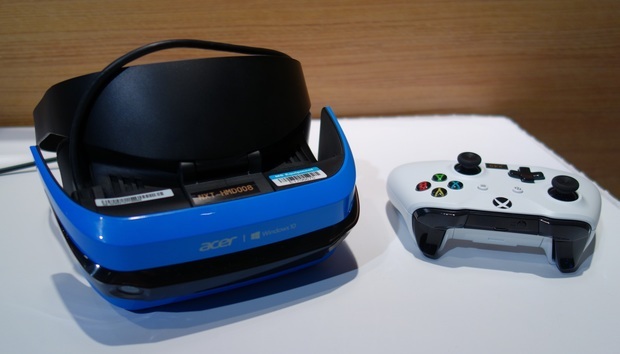 Of particular interest are the motion controllers, which will be bundled into kits with mixed-reality headsets from Acer and others. Acer, which has already shown its Mixed Reality Developer Edition headsets at Build and elsewhere, plans to ship a consumer version by this summer: $299 for just the headset, and $399 for the headset and controllers, Microsoft said. HP will also announce a mixed-reality developer kit on Thursday, priced at $329 for the headset alone. HP's headset will also ship by summer, while headsets from other manufacturers like Asus and Dell are expected later in the year, closer to the holiday season. 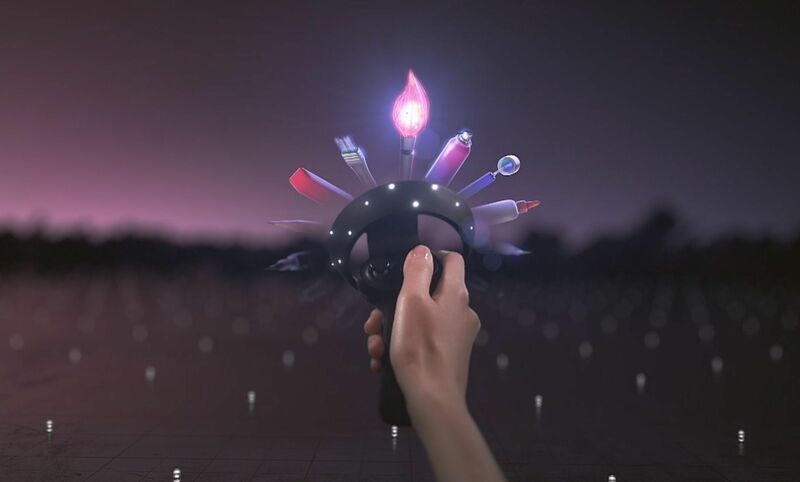 The new motion controllers address one of the chronic issues with virtual reality, according to Microsoft: tracking the position not just of the user but also any real-world objects, which must either be avoided or marked. With the controllers, Microsoft's promising you’ll be able to participate in the new world of mixed reality, no markers required. Microsoft's mixed reality controllers will make it easier to navigate in a virtual environment, with controls for moving up and down, back and forth, and more. Microsoft will be referring to these controllers as 6DOF controllers, in that they’ll allow six degrees of freedom to move up and down, back and forth, tilting and yawing and more. Currently, Microsoft and its partners use Xbox controllers as a way to “steer” mixed-reality users though a virtual world. Microsoft sees mixed-reality as a spectrum. On one hand, virtual reality totally occludes a user’s field of view, and real-world objects Augmented reality lets virtual objects overlay the real world, though the experience isn’t quite as immersive. Using Windows 10, developers can code apps for both augmented reality devices like the HoloLens and mixed-reality/VR devices like Acer’s headset. In a demo at Build, for example, Microsoft is offering the opportunity to participate in a shared experience where both HoloLens users and mixed-reality users can interact with one another. The HoloLens and the mixed-reality devices already use “inside out” tracking to establish the headset’s position without the need for external sensors like those in the HTC Vive. That’s significant, as the HoloLens costs $3,000 for the developer edition, which will only be sold to commercial partners and developers. At $399, the Acer headset will be about $100 less than the base price of the Oculus Rift, and about $200 less than the Rift plus Oculus Touch controllers. At Build, Microsoft was showing off a collaborative experience between HoloLens and mixed-reality users. Microsoft executives said partners like Acer will have leeway to design their own motion controllers, provided they adhere to a set of base specifications, like those that govern the mixed-reality devices themselves. Why this matters: With its partners and aggressive pricing, Microsoft's clearly trying to gain some foothold in the early days of augmented/mixed/virtual reality. Unfortunately, it looks less and less likely that the HoloLens will be sold as a consumer device, based on conversations I had with developers and Microsoft employees at Build. Instead, these partner mixed-reality devices should fill the gap.